In May 2018, I left full time employment at Greenwich Dance and moved up to the West Midlands to embark on a freelance portfolio career as a Producer. One of the first projects I was approached with was Fiya House. 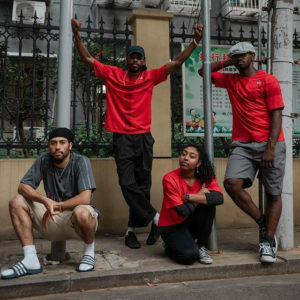 Fiya House is a world-renowned collective of dance artists based in London, and has been a positive and consistent presence in the UK Popping Community since 2012. Founded by Dickson Mbi and Brooke Milliner, the collective aims to provide a platform for dancers to showcase their talent, network with other like-minded artists, and promote growth for the UK Hip Hop scene. To inspire the next generation of dancers, Fiya House not only delivers not-for-profit weekly training sessions in London, but also invites international pioneers to teach workshops and judge events throughout the year. Fiya House presents a day of inspirational workshops and a Freestyle Jam led by world-renowned artists Clara Bajado and Shawn Plague. The renowned international dance competition arrives at London Bridge. Popcity UK is a space for emerging and established Hip Hop dancers of all ages from across the country to come together to train, share knowledge and compete. It is open to anyone who is interested in watching or taking part in Street Dance. Popcity will see 450 UK dancers unite for the first Hip Hop event of the year. Featuring international judges, guest performers and live DJs, the battle will create an authentic Hip Hop experience with artists from around the globe and around the corner. Categories include Popping, Hip Hop, Afrobeats and Under-16s All Styles. 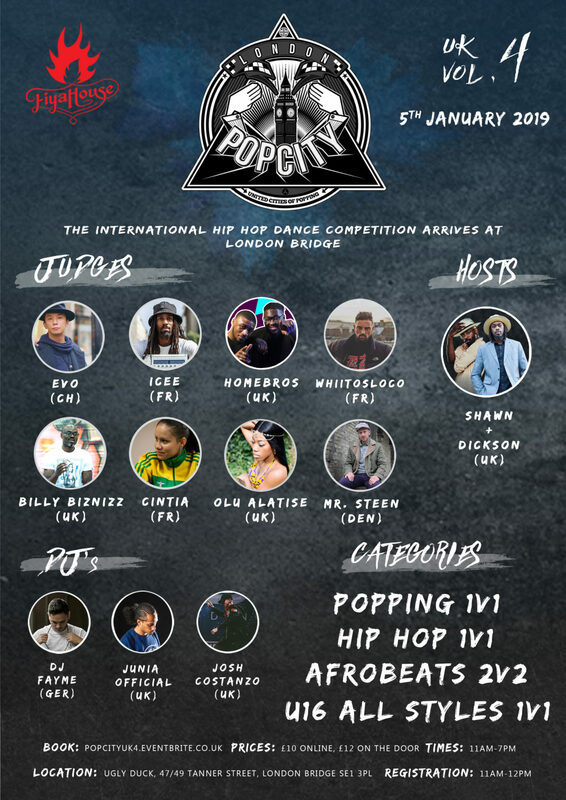 Winners will have the chance to represent the UK at the Popcity Finals in East Asia, December 2019. This programme of activity is commissioned by Team London Bridge, funded by Arts Council England and supported by Ugly Duck and Southwark Council. Plus about 100 other things! I love working on big events, bringing communities of dancers together and connecting them with top international artists. Come and join us! More info here.